Rose Gold Weddng Ring Designer Pattern Valorar. 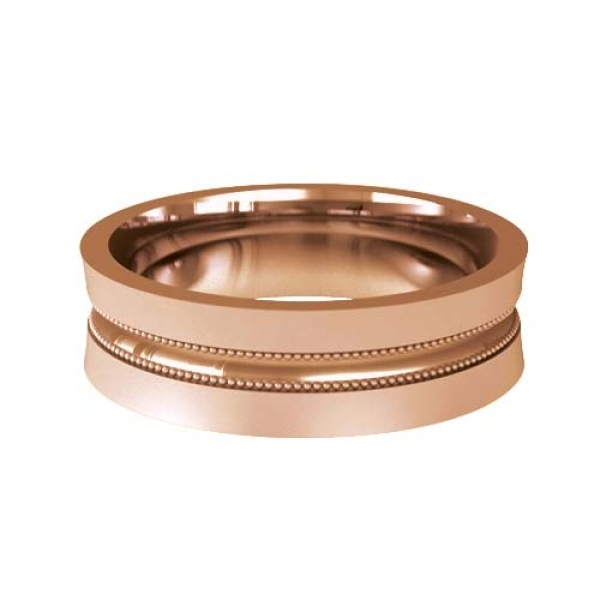 4 to 6mm wide Valorar Patterned Flat Court Wedding Ring. A light brushed, concave ring, brought to life with a generous, high shine central band, which is bordered by gentle millgrain beading.